Release Date: 11 January Trivia: This was debut film for SVR as an actor. 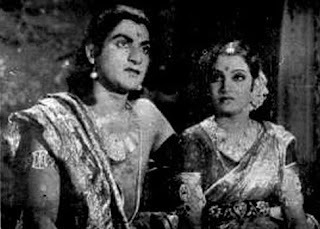 Note: The highlight of this movie is the action of P.Kannamba, who played the villain role. Standing up to the acting prowess of three heroes and showing villainy with a panache that counters three heroes is no ordinary thing, that too for an actress. But Kannamba, with an inimitable aplomb, came out with a sterling performance. I personally feel she dominated the three heroes with her performance. No other actress can do it. 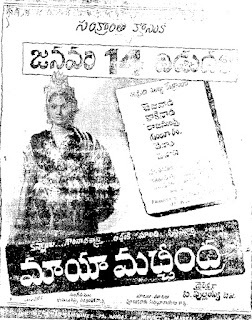 Trivia: Initially the makers selected the title as IDI MAA KATHA. 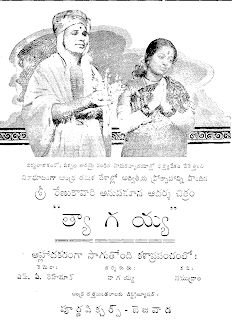 Later they changed it as MANGALASUTRAM. Synopsis: This is a religious drama about the life of saint/poet Tyagaraju (1767-1847), creator of the Carnatic form of classical music. At the film's outset, Tyagaraju (Nagaiah) is depicted as a humble villager who devotes himself to writing songs about the god Rama while at the same time rejecting the money and prestige offered to him by the maharaja of Tanjavur (Narayana Murthy). Thaygaraja's disinterest in social and financial gain drives his brother, Japesen (Lingamurthy), into fits of jealousy, culminating in him destroying Tyagaraju's beloved icons of Rama. 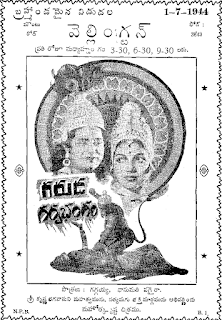 Synopsis: Murthy (Nagaiah) is a publisher, married happily to Kalyani (Jayamma) and the proud father of their children. He watches a street play in his father-in-law's village, and notices the beautiful Subbalaxmi (Bhanumathi) in that troupe. 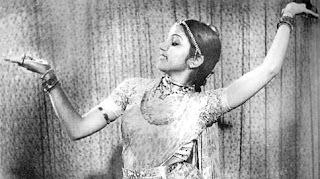 He advises Subbalaxmi's father to take her to Madras where she would have the potential to become a big theatre artiste. He even refers them to a theatre company. The father-daughter duo travel to Madras, and are not left disappointed-Subbalaxmi is offered the lead role and changes her name to Sujatha. Murthy falls for Sujatha's charms and neglects his family. Kalyani fends for her children by taking up small tailoring works and leading a hard life. Slowly but surely, Murthy realizes his flaw and returns to his family. This film was reported based on Rouben Mamoulian's 1941 opus Blood and Sand starring Rita Hayworth. 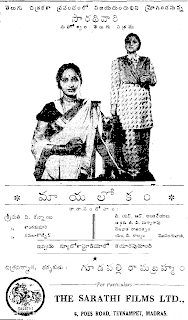 Trivia: This was the first film for ANR as a hero. Synopsis: This film was a satire on Indian middle-class anglophilic pretensions. 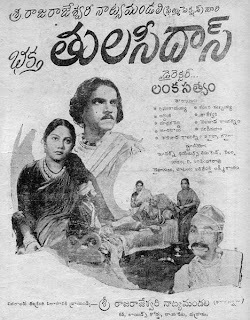 Soon after a low-level tax collector (Rao) marries the beautiful but unsophisticated village girl Kamala (Bhanumathi), he forces her to take a series of classes to learn to wear Western fashion and high heeled shoes and to learn to speak English. All this climaxes in a tea party hosted by the collector that leaves Kamala dispirited and humiliated. The collector dumps Kamala in favor of the slick and modern Rajani (Kamala Kotnis), who promptly has poor Kamala evicted. Soon the dark-hearted Rajani spends all of his money, forcing him to embezzle from his company. Synopsis: Mythological continuing the often-filmed Vishnu Purana legend of Prahlada and Hiranyakashipa. After the demon Hiranyakashipa is destroyed, Vishnu's (Narayana Rao) consort Lakshmi (Kotnis) takes the earthly form of a chenchu (tribal) to soothe and entice Vishnu out of his rage. 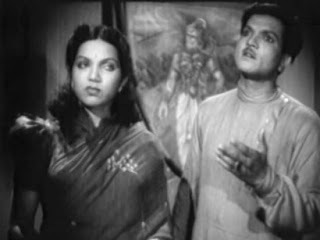 Her success, marriage and eventual recognition as the goddess forms the major part of the film. Mainly known for Subburaman's innovative score. For his debut film he drew on Latin American music for the credit sequence and to accompany a tribal dance. 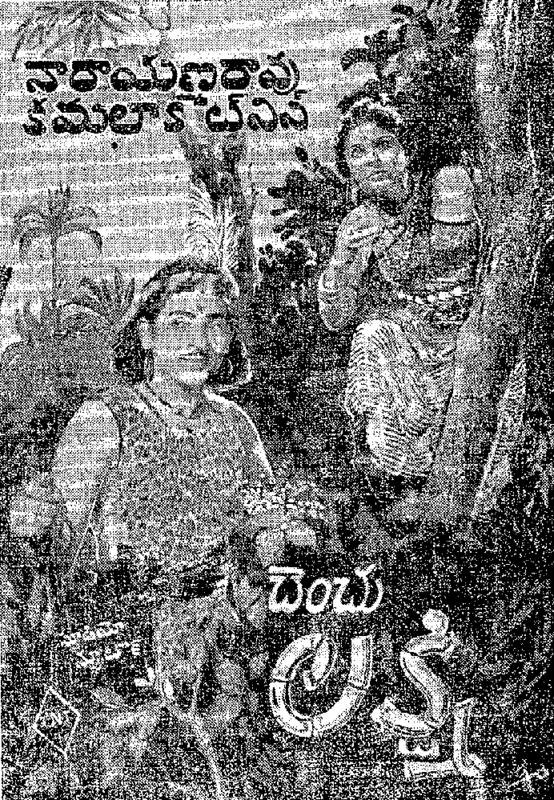 Nagaiah plays the tribal woman's father.